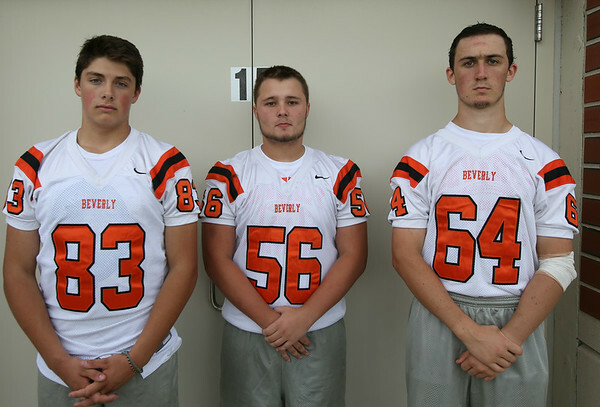 From left: Beverly Football Players Aidan Blake (83), Jimmy Kastrinakis (56), Scott Spillert (64). DAVID LE/Staff photo. 8/22/14.